(ARCADE) 16 great original Rock & Roll Revival tracks from the 80s. Nice cover artwork with Shakin' Stevens smilin' from the picture on Tracey Ullman's table. 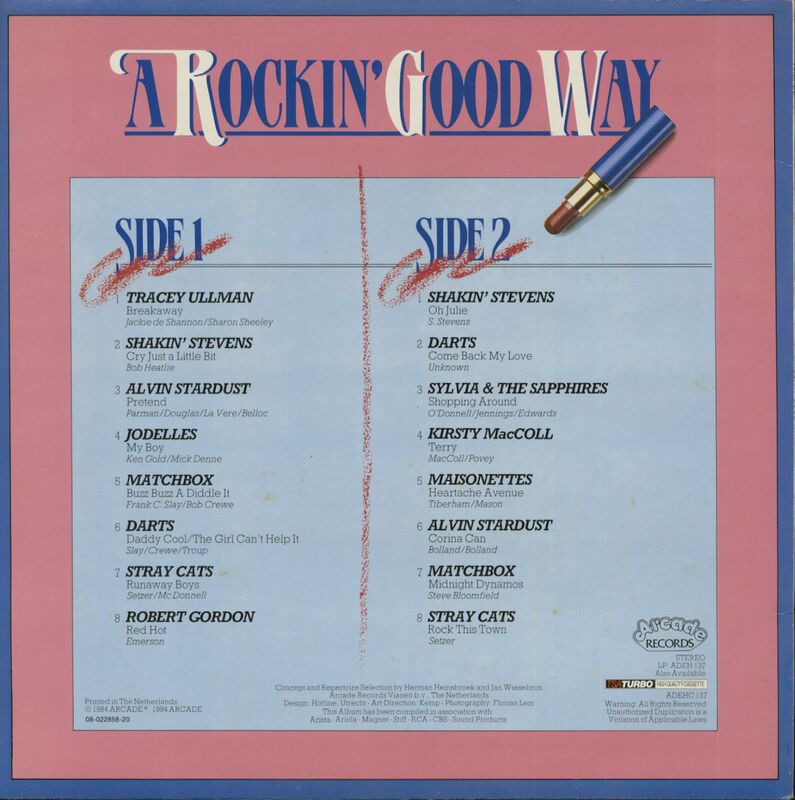 Customer evaluation for "A Rockin' Good Way (LP)"